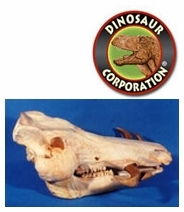 Hog skulls are museum quality replicas. Cast in durable Polyurethane resins. Made in USA. Giant Forest Hog Skull.